This article looks at how you use ‘Part Pay With Avios’. ‘Part Pay With Avios’ has, apparently, been very successful since it was launched. It allows you to redeem your points for a discount against a cash ticket, although in most cases you are not allowed to pay the entire price with points. Unlike an Avios reward redemption, you will still receive tier points (with BA or Iberia) and earn Avios when you take the flight. There are also no availability constraints, of course – all you are doing is booking a normal flight and using Avios to reduce the cost. There are different versions of ‘Part Pay With Avios’ for BA, Iberia and their other sister airlines. I thought it was worth running through all of the options in one place. We looked at ‘Avios and Money’ redemptions in this article in the series. 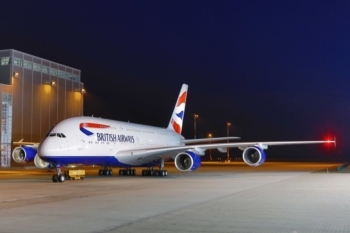 You can find full details of Part Pay With Avios on the BA site here. ‘Part Pay With Avios’ isn’t great value unless there is a special promotion running. This is something you will read again and again in this article. You will NOT be allowed to pay for your entire flight with Avios. In my example above, I was only offered a £90 discount on a £190 fare. 1p per Avios is decent and I would always seriously consider making a tiny redemption to reduce the cost of my ticket if the option was available. I wouldn’t refuse to speak to anyone who took the 0.8p option either, although once you get below 1p per Avios, I struggle to justify it. If you want to book an Iberia flight, you can use ‘Part Pay With Avios’ if you book it via iberia.com. It’s not just Iberia mainline. You can also use Avios for bookings on Iberia Express, Vueling or Air Nostrum. Past reader feedback is that it also works for BA, apparently, although that requires calling Iberia reservations. You can then use ‘Combine My Avios’ on ba.com to move your points to Iberia Plus. If you get an error message, the workaround is to move your points from ba.com to avios.com and then from avios.com to iberia.com – this will work 95% of the time. As your old Avios Travel Rewards Programme has now been closed, you will need (unless you have an Aer Lingus or Vueling Avios account) to open a new one at flybe.com/avios. The new account number generated will work perfectly at avios.com. Again, however, ‘Part Pay With Avios’ is not great value with Iberia. In fact, it is shockingly bad. The maximum discount offered on a £168 flight was £95. A long haul Economy flight from Madrid to New York produced identical results. Vueling is BA’s low cost sister airline, primarily flying around Europe, including regional UK airports, from bases in Barcelona and Rome. Vueling has its own Avios-based loyalty scheme called Vueling Club. You can learn more about Vueling Club in this HFP article. Redemptions via vueling.com are ONLY available with ‘Part Pay With Avios’. You can pay for the ENTIRE cost of your flight with Avios if you have enough points. You need to log in using your avios.com account details on vueling.com. If you no longer have an account which works at avios.com, open a new one via flybe.com/avios. This will generate a new 3081xxxxxxx account number which can be used on the Vueling site and which, via ‘Combine My Avios’ on avios.com, you can use to push your points across from BA. The redemption rate is poor, unfortunately. You will be offered 0.55p per Avios. Whilst this is 10% more than you are offered when using Flybe’s ‘Part Pay With Avios’ option for Flybe flights, it still is not great. Before making such a booking, see if you can book the same flight for Avios via Iberia Plus at iberia.com. This will be priced using the ‘standard’ Avios pricing model (9000 Avios plus taxes for a short flight, return, for example) and may be a better deal. Complicated, I know – but potentially better value than booking a Vueling flight via vueling.com and getting just 0.55p per Avios. ‘Part Pay With Avios’ is available for Aer Lingus flights via booked via aerlingus.com. There are some restrictions in place. You cannot use it on flights which include codeshare sectors and you cannot pay towards ancillary products such as fast track security and lounge access. You also cannot use ‘Part Pay With Avios’ if there are seven or more people on your booking. You can also use ‘Part Pay With Avios’ on Aer Lingus if the flight you want is bookable via ba.com. This requires your Avios to be sitting in British Airways Executive Club rather than AerClub, but you can use ‘Combine My Avios’ to move them around. Note that Aer Lingus booked via ba.com can be more expensive than if booked via the Aer Lingus site. Is ‘Part Pay With Avios’ ever worthwhile? Unfortunately, the answer is ‘not really’. The only exception would be if you are getting all of your Avios for ‘free’ via business travel, in which case you might be ambivalent as to what you achieve for them. Be very clear about one thing. If you earned your Avios via credit card spend, via a Tesco Clubcard points conversion, via an American Express Membership Rewards points conversion etc then your Avios were NOT ‘free’. You could have redeemed your Tesco or Amex points for something else of value, or used a cashback credit card. You are likely to have ‘paid’ more than 0.5p per Avios compared to the value you could have got elsewhere, so accepting something close to 0.5p per Avios by doing a ‘Part Pay With Avios’ redemption is not smart. The bit about Aer Lingus is incorrect. You can part pay with Avios from your Aer Club account on the Aer Lingus website for Aer Lingus flights. The options on shown on the payment page. Will fix. Pretty sure that was not the case in Jan. If you are Avios rich but cash poor… It’s a very good option if flights are booked in advance: cheap price + Avios needed for a redemption, even cheaper. This made me laugh. My Dad whittles down his substantial Avios stash on a large number of long haul economy flights, usually between London and Shanghai. It would be pointless trying to enlighten him, he would just tell me he can use them for whatever he wants. He has a good point and frankly one of the best reality kicks into touch I’ve ever read on HFP. I was watching the unfolding of the Amex news from the Aspire deck at Zurich airport, snow covered mountains in the background, frequently replenished snacks if I became peckish, free Gordon’s and tonic, free internet access for front row seats to watch the ‘it’s the end of my traveling life forever’ drama unfold back at HFP central whilst here at Zurich the spring warmth and sunshine was putting smiles on the faces of everyone around me. The hotel I stayed in the previous night was purchased through Anika’s Kaligo promotion which netted me an extra 2000 avios, breakfast included. And my karma’s cool because I know HFP gets a kick back from my booking. We all made something out of that deal. Your dad and I would make great friends. Short haul economy such as Zurich no doubt IS a good use of Avios. It’s long haul economy where the value tends to slide well below Rob’s 0.8p socially acceptable level! I’ve just looked up BA economy LHR-PVG 8th May and the avios cost for a one way ticket is 19,500. According to great circle mapper the distance flown is 5754 miles. That means your dad’s flight is costing him around 3.39 avios a mile. My cash ticket from Zurich to London Heathrow cost more than the cash element your dad paid getting from Heathrow to China. Well done dad! It’s £ per Avios you want to be looking at. You can get a return for around £500 and the fees are £324 so at most you’re getting 0.9p per Avio. Wrong, it’s double the Avios for a return so you’re only getting 0.45p per Avio. I rest my case! However Alex is comparing a ticket which can be cancelled or changed for £35 vs one that can’t. Depending on how firm your planes are that flexibility can be valuable. I agree if you need flexibility it’s better value. Can you use part pay with Avios on BA holidays? Also do you know if you can use a GU42 voucher on a BA holiday booking? A redemmption flight may well have to be made 355 days out and by dicking about on the phone in the middle of the night. Compared to your preferred option it may well involve a slightly inconvenient airport at a slightly inconvenient time or a less direct routing or even a complete change of destination choice in extreme examples (all “costs” that few people factor into their redemption when thinking about the £/Avios value they’ve achieved). A cash booking with Avios top-up can be made on the exact flight you want to go on with the booking made at any time you want. Choice and timing of booking and flight flexibility increase maybe 1000-fold vs redemptions. These options have REAL value, it just doesn’t appear in the standard Avios/£ valuations – but it would be reasonable to adjust the “value” gained from anything less than perfect reward flights downwards to reflect the issues above. That changes the maths quite a lot, and people using Avios at 0.8p part-pay and even less than that are not necessarily irrational or even sub-optimal. Well, we could never ever afford to travel in F to Asia. So the flexibility to do that, if we have enough avios in the pot a year in advance, is fantastic. Your example, yes it’s true for J seats maybe, but changes are a nightmare. And then if you have to cancel you are into insurance claims. Flexibility is one of the main reasons we collect avios, and of course J or F travel. I completely agree with Savage Squirrel. In fact, as helpful as this site has been to me over the years, I am glad I didn’t read this post before I decided to scrap a pair of redemption tickets from London to Lima in Club (using a seriously compromised routing of LHR via MAD to LIM on Iberia in order to find a redemption). Please don’t judge me – but I swapped the redemption for my originally preferred LGW-LIM route using part-pay – and can’t believe I did not think of it in the first place. In fact, after applying some of the logic applied harvested from the main post, I think I can spin this such that I am up in terms of value for Avios as well as quality of life. I believe my circumstances are common…. > I value my time. > I didn’t have 365 days notice to snipe a redemption seat on BA – and I searched extra hard because I am currently sitting on a few Amex 2-4-1’s that will otherwise expire and would have made this a fantastic deal. > I am travelling with my school-age daughter (so need to book peak time). I opted to ‘save’ the maximum of £1,560.00 using part-pay (@ 282,000 Avios) – which I know values the Avios at well under 1p, but, this needs to be offset by the fact the redemption flights were originally 310,000 plus taxes *and* our combined Avios haul is >50k (plus @ 5000 more because I used my BA Amex to pay) not to mention 320TP each. In summary, I am getting 14 hrs of my life back and de-risking the journey for @ £350.00 per person – plus I have just over 80,000 Avios coming my way. … which at 1p each = £800.00 (so I am up on the deal – or have I bamboozled myself here?). In the interest of balance – I do earn most of my Avios from business flying so I guess I tick one of the one ‘exception’ box that was mentioned in the article… however, I can’t see how it would have swayed my decision to spend a little more cash (and fewer Avios than the redemption was costing). BTW, flying Iberia also came with some unexpected complications – not least was the fact that I needed to call them several times because two out of four segments were changed, and my seat selection was lost each time. They were helpful – but slow – and I was never 100% sure that we were understanding each other. I have to say I will be looking to do this again in the future (especially if I needed the TP’s). It’s all about weighing up the situation like you say. It’s 310k plus taxes and fees (booking via Iberia for the cash save is the real benefit of via MAD) vs revenue ticket and burn 282k to earn 50k. Net 232k for £1560 equals 0.67p per Avios. I think ultimately, the important thing is whether your Avios had an aquisition cost. If you got them flying, then great. However, the cost comes if you’ve paid for those Avios. Nevertheless, I agree with you. Sometimes it’s far better to use part payment with Avios, especially due to BAEC attitude towards surcharges and very cheap fares nowadays. Because of the reduced cost of business flights, and the increasing cost of redemptions (along with poor availability) I have devalued my personal value of an avios point to ~0.6p. Therefore I will take what I can get on part pay with avios – I recently spent 10,000 avios for £70 discount on a £170 Lon-Belfast club ticket in the sale, paying ~£100 cash as well. I will get 2,000 avios back from flying, and 80 TPs as well towards renewing status. Obviously despite the cheapo tickets, there were no avios seats available. Have you factored in the additional cost for checked baggage? Your comparisons are good for those with only hand luggage but on a recent flight to Chicago I found part payment with Aer Lingus beneficial because I got a hold bag too which is not included the cheapest economy flight. This was an extra saving. Didn’t think you could pay for luggage with Avios yet? Cruz wants to introduce it though. Not meaning to be rude to Head for Points readers, but pay with Avios is just not about you. People who can afford a full redemption should do a full redemption however many collectors never earn enough to make a full redemption so the flexibility (you can redeem from as few as 300 Avios) is for them. For Vueling customers the ability to also pay in full is important with taxes often making up upto 80% of a fare (in fact on many sales fares the taxes can make up 120% of what you pay) so it doesn’t make sense to reward people for travelling by offering 1€ off for 9,000 Avios. I agree if you have a lot of Avios then 2p per Avios is better than 0.6€ however 0.6€ is better than the 0€ you get if they expire. It’s hard to value Avios at more than 1 p. You can buy millions of Avios a year for just 1 p each. Talking about Vueling and Iberia, it is very important for people traveling with children to note that you cannot book infants with Avios on Iberia, meaning if doing a 1 way booking with Avios for adults and children, you’ll pay a percentage of a (very expensive) one way ticket for the infant. Furthermore, Vueling often charges higher rates for infants than for adults!!! Making it (almost) not worth it, since the Avios cost when using part pay will end up much steeper!